Hey guys! I'm not dead! Here's some responses to your questions and comments since I last visited. * To candygal: thanks for the banner image. I've put the code for it on the first post, so now users have a couple of choices for signature images! * "It might be nice to have an option to add only certain eggs, will you add this feature?" I'd recommend simply fogging your dragons on your scroll that you don't want boosted - though given the relatively low number of clicks / views / etc. I don't think it will be a problem anyway. * "Dead eggs and hatchlings get added / Creatures frozen after being added stay on the site"
Yeah, this is a known issue. I've put together a script that can check for this, but it takes a loooong time to run - definitely too slow for the "add a scroll" page, and generally too slow for regular cleanup as well. I'll be sure to post when the switch is finished and the new features are ready. I really do like the less is more concept. Tried it, liked it, will use it again and recommend this site to friends. Thanks for the smaller banner, I was looking for one! all you do is enter a code, and it tells you whether or not the dragon is a descendant of inbred lineage - and which ancestors are responsible for double-dipping, if you will! Stuff like this will hopefully set EDS apart from other sites. Use the tools, tell your friends. The Soup is also shown on the tools page, which means more views whenever you drop in, so everyone's a winner. What fun! I just picked up an egg from the AP and thought I would try it. It found 38 duplicates in the lineage! LOL! I can see this being a big time saver in checking for inbreeding. Yay for the inbred check! I've been wanting this feature but am not enough of a programmer to make it myself. I hadn't really used EDS, but this makes me much more inclined to stop on by. Thanks for keeping your tabbing order clean; I really appreciate it. Clicking on hatchlings/eggs below does not disrupt the page load. Checking a really long lineage can result in some lag; this isn't really unexpected. ... yeah. I'm a software tester. Can you tell? ETA: I don't have a test case for inbred, related dragons. >.> Bummer. I assume it'd be the same as the inbred/unrelated, though, since it stops checking after finding one inbred dragon. How would you go about getting this data? I have quite a few related dragons I can try with for you, both inbred and known clean. And I've got to say, Egg Drop Soup just keeps getting better and better. I wish there was a badge/banner/button just for the Inbred Checker, so I could spread the word in my sig. That's exactly what you need - a pair of dragons who were both inbred and had a common ancestor somewhere - I don't have that case on my scroll, to my knowledge. I'd be interested to know what turns up if you run a pair like that, though. =D Thanks! Seconded, for the better and better as well as the banner button just for the inbred checker. Hornpipe2 is at work right now, but when he gets home we were going to come up with a few banners. If any of the users want to come up with their own, it'll be posted to the current banners. Both inbred, and both with a common ancestor, eh? I don't have both of those on my scroll, but I think I have the next best thing. Brb with results. Both dragons have the same mother, but different fathers. However, I think I may have found a slight bug. The above dragons came from a dragon on my scroll, who has 3 "multiple appearing" ancestors. But when I checked the above dragons, they only showed 1 "multiple appearing" ancestor. So while it is telling me they are inbred, it is not giving all of the inbred information. EDIT 2: Also, I found another bug. It seems that this tool is only checking up to 12 generations. I have this dragon, which is known inbred. 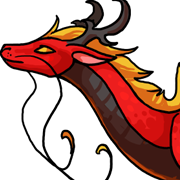 If you scroll down to the bottom, to a Pebble dragon named Chaux (code D2td), and click him, you will see that he is inbred once. Yet when I put in my dragon's code, she comes up as "safe". Good news: HYfK has no duplicates in its lineage. Thanks for the testing you guys. I put this together pretty quickly so it was nice to have everyone do some stress testing. Really, this script starts to push the limit of what is sane to do with screen-scraping, and that defines some of its limitations. A majority of the time is spent pulling lineage pages down. So what you've noticed above - where you put in two inbred dragons - it stops processing once it finds a duplicate dragon, thus I may be able to avoid having to pull lineage for Code 2. Originally I had it set up to check only one dragon, but brightflashes suggested the Offspring check, and so I bolted it on. It's not recommended to use the Mate's Code box to check the Mate - it's best served for checking Offspring instead. I may extend this in the future to report on both. Re: bug involving ooGM and J2Eb - I'm not certain I understand. Can you give the code for the dragon with three "multiple appearing" ancestors? That may help me get it : ) EDIT: I think this is probably related to simply running out of lineage info on the page. I should be able to correct it later with the bug #2. Re: lineage length bug - Ouch. I didn't realize there was a point at which lineage stopped. What I'll do for now is edit the page to indicate that there is a limit. However! It is detectable where the cutoff is. The eventual solution would involve pulling lineage for the ancestors at that boundary and extending the tree - no small task, but certainly doable. It too may wait until API access is finalized, but I'll see what I can do in the meantime. I'm guessing what happened is just what you said above. But for reference, their shared mother's code is oN6g, named "I Am A Never Ending Story". To be perfectly honest, I think only purists are really going to care. Most are really only looking at the 12 recent Gens anyway. Even if you don't figure it out, or decide it's too much work, I'd still say most of DC will adore you. Suggestion: Include a message if there is no more than 12 generations that the dragon is indeed not an inbred dragon, include a message if there is more than 12 generations that for the past 12 generations, the dragon is not inbred. That would be a temporary fix until the bug is resolved. The inbred tracker is completely cool and awesome! Interesting but something I wont ever use. Anyway you can fix it so we can add just hatchlings or just eggs? Sometimes I have just one that needs a few extra fews to hatch or grow. Oh and I LOVE the inbred check, thank you, will be very useful indeed! Love the speed and simplicity of the site. * Extended Lineage Checking. Tick the box, and the script will be able to check complete lineage for a dragon (instead of stopping after the displayed 12 generations). For a long lineage this is sloooow (to the point where the page may not return at all!) so it's off by default. It isn't any slower than a regular lineage check for single-page pedigrees, though. If you have Extended Checking disabled, but the script sees that a lineage is so long that it may have inbreeding in the way older generations, it will warn you by issuing a Tentatively Passed note instead of the regular Passed notice. Please report any more bugs you encounter here. My sister was using the lineage checker on all of her dragons, it checked 38 of them fine but we ran into trouble with one hatchling. We got the following message: "PARSE ERROR: could not figure out edge lineage for FTr5. Validation will continue but may not check further than 12 generations of ancestors. Please post a bug report here. " Hatchling is only the tenth generation, so the checker worked fine, but I thought you would want to know about the bug. On Soti's I can type "n/username" and it will add OK.
On EWBD I can type "username" only and it will add OK. Neither of those processes work here Maybe your site does not allow a / to be typed in the username field? It gives me the same error either way: Sorry, an error occurred! We have to go back... back to the index! For the record, I had the exact same issue on The Dragon Cave Fansite. Adding n/ did not work there either. What I'll do for now is just disable that specific error message, since it doesn't seem to actually cause any problems. If you ever do breed this dragon, please let me know - I would be curious if the children would have the same issue (the parents don't). Thanks for pointing that out! Suggestion: Maybe a generation counter?